Business description - The Raw Edge business model finds its origin in organizing the inefficiencies of the industrial raw materials supplies. The idea of organizing the unorganized industrial raw material sector was conceived by its promoter Directors. Whereas the supply of industrial raw materials involves research & development, exploration, mining, processing, logistics and IT enabling; the promoters foresaw the inefficiencies in the unorganized industrial raw materials sector. In the year 2013-14, the company took an Industrial Plot in Jolwa, Taluka: Palsana, District Suart, on lease hold basis for a period of 9 years. In this Industrial plot company shifted all its existing Plants and Machineries and commenced the production of Lime processing and enhanced its manufacturing capacity to 60,000 MT/Annum of Lime processing. In addition to this, the company has continued the trading of other minerals such as Lime Powder, Lime Stones, Dolomite, Quartzite, Calcined Magnesites, Quick Lime, Asetic Acid, Benzene, Butaone, Caustic, Ethyle Acelate, Ethylene Glycole, Hydrogen Paroxide, Menthol, Potasium Carbonate, Toulene. 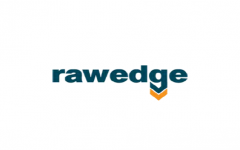 Raw Edge Industrial Solutions IPO allotment status is now available on Bigshare Services' website. Click on this link to get allotment status.